On Sunday 16th September visitors to a Weston-super-Mare attraction may think they are on Rodeo Drive or Route 66 in the USA, when the Cadillacs & ‘Copters event comes to town. 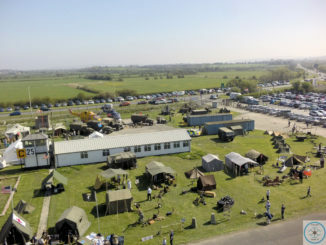 Dozens of vintage American motor cars and trucks will be on public display for one day only around the recently restored Airfield Control Tower at the Helicopter Museum, for a fully themed ‘stars and stripes’ car rally. Last year’s event attracted over 70 vehicles and has quickly established itself as one of the most popular shows in the South West not just for owners, but anyone with an interest in American vehicles. As well as the plethora of cars on display the museum will also be opening up several of its American helicopters for a close up viewing, with the Vietnam Huey open to the public for a very special Open Cockpit Session. Visitors will also have a chance to see Weston-super-Mare from 1000ft with helicopter flights operating from the museum helipad starting at 2pm. Cadillacs & ‘Copters runs from 10am to 2pm at the Helicopter Museum and anyone wishing to exhibit a vehicle should arrive before the event opens. Usual museum admission applies to the general public and there are no extra charges for the event. 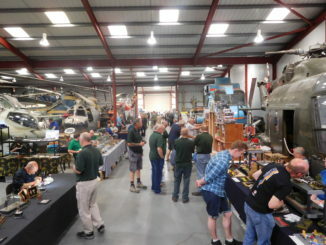 The Helicopter Museum is a Registered Charity (no 281053) and houses the world’s largest collection of helicopters.